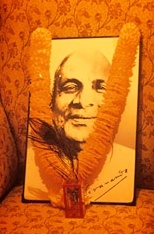 Sivananda Yoga is well-known worldwide and follows the teachings of Swami Sivananda. There are five Sivananda Ashrams in India, the largest one being Sivananda Yoga Vedanta Dhanwantari Ashram, which you can also find in our book. 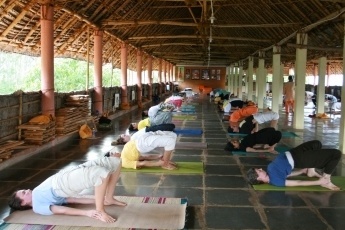 Clare Hudson, a yogini from the UK, shares with us her experience at the Sivananda Meenakshi Ashram in southern India. 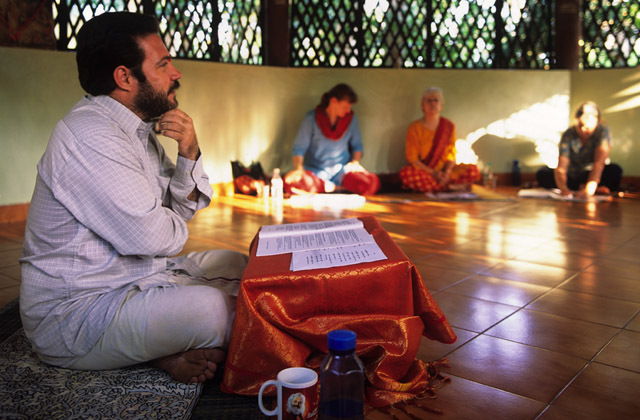 Earlier this year, I spent two weeks practicing yoga, meditation and having interesting conversations at the Sivananda Meenakshi Ashram in Tamil Nadu in southern India. I’d now like to share some of my experiences with you. Before I arrived at the ashram, I had no expectations; I just wanted to learn, observe and totally immerse myself in the experience. 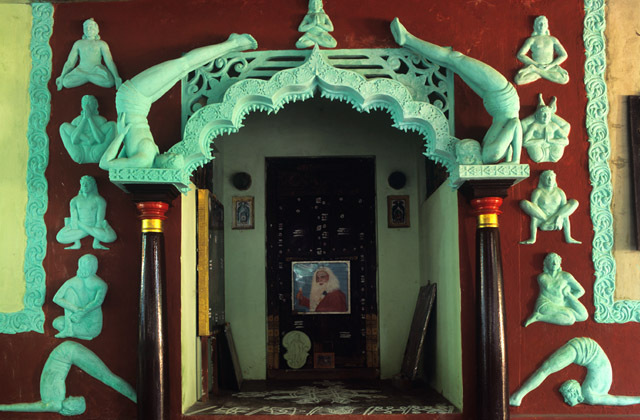 I was drawn to the Meenakshi Ashram because people from all walks of life were welcome and although each day had been carefully planned out with 5:30am starts, the ashram didn’t seem elitist or overly strict. I always think that it’s important to have space to question what is being taught and practiced in order to fully understand. So, despite my daily schedule being full of yoga, meditation and chanting, there were also daily lectures about the philosophy and history of yoga which I found incredibly rewarding. In the lectures, we discussed everything from God to the importance of a yogic diet. Some of us enjoyed the discussions so much we created our own ‘Question Time’ in the free time after the lectures. Questions included: Is it important to follow rules when you meditate? What is the purpose of meditation? And, is it really necessary to get rid of desire? 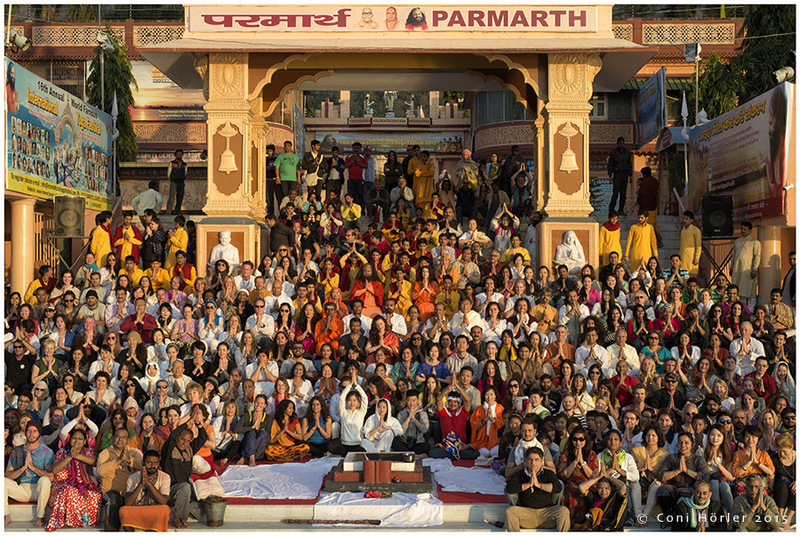 Perhaps you’re wondering, ‘but you were at an ashram, you’re not supposed to be thinking, you’re supposed to be clearing your mind.’ However, it was the discussions, laughter and union I felt with other people in the ashram that really made the experience worthwhile. It was the conversations that helped me to become more mindful when I meditated – to simply observe my thoughts rather than trying to get rid of them. As for the yoga, I practiced for three hours each day and was amazed by how quickly I improved. By the end of the two weeks, my body felt stronger, my head clearer and overall, I felt more balanced. The classes were small and the ashram catered for all abilities, so it didn’t matter if you were new to yoga or you’d been practicing all of your life. If I were to sum up my Meenakshi Ashram experience, this is what springs to mind – silent meditative walks up mountains as the sun rises, giggling over yoga nose cleaning rituals (it’s another story), pesky monkeys in the bamboo dorm, the fun of karma yoga cleaning and food containing every colour of the rainbow. Being in the ashram taught me to appreciate the little things, be compassionate and not take life too seriously. If you’ve spent time in an ashram, I’d love to hear about your experiences. Did you find it rewarding, hard to adjust, life changing…? 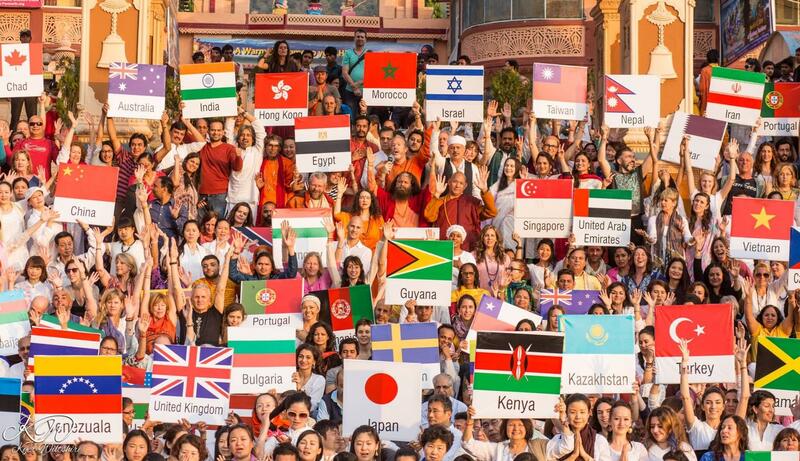 Alternatively, if you’re thinking about staying in an ashram and have any questions, please feel free to leave a comment below. Clare is a copywriter with a passion for yoga. Visit her website for more information and for some fun reading! 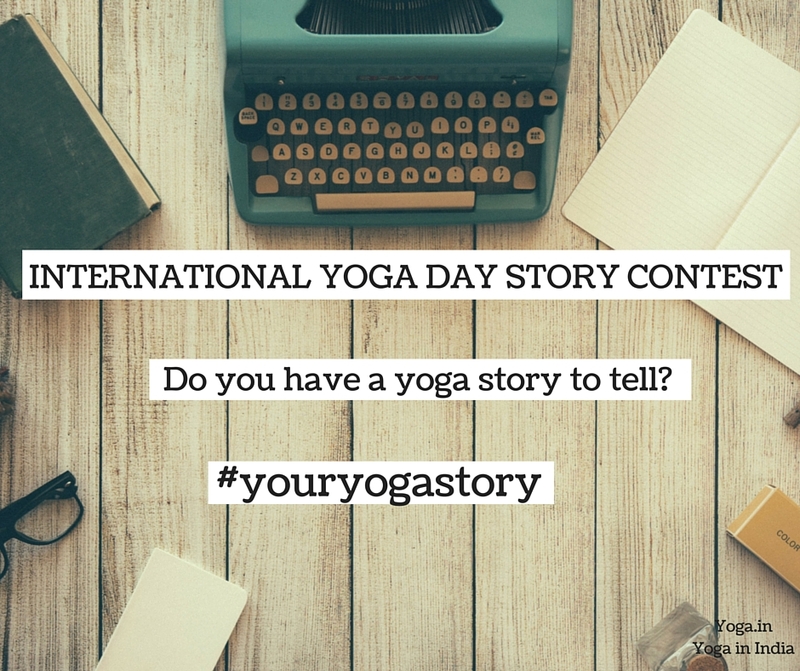 The opinion in the article is the opinion of Clare Hudson and does not necessarily represent the view of yoga.in.